When love and food (and love of food) collide, something truly amazing can materialize. 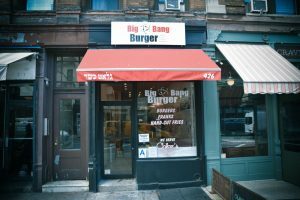 That’s what happened with the Big Bang Burger, when a married couple who share a love for science fiction and food came together to open up a restaurant. Replacing their first restaurant, BaZnGa Cafe, which opened earlier this year, Big Bang Burger is yet another ode to the popular CBS comedy, The Big Bang Theory (which happens to star, coincidentally, orthodox Jewish actress Mayim Bialik). Located on the Upper West Side in Manhattan, the menu offers burgers made from 100% ground beef or completely veggie. The burger is available as a single, double, or triple. All burgers come with lettuce, tomato, pickles, grilled onions, mustard grilled mushrooms, ketchup, relish, sauerkraut, jalapeño peppers, BBQ sauce, and hot sauce. Beef bacon jam can be ordered as an extra topping. Hot dogs & fries can be ordered as well. Soft serve “ice cream” is available for dessert. Hours of operation are Sunday-Thursday 11am-11pm, Friday 11am-5:30pm, and Saturday 7:30pm-1am. 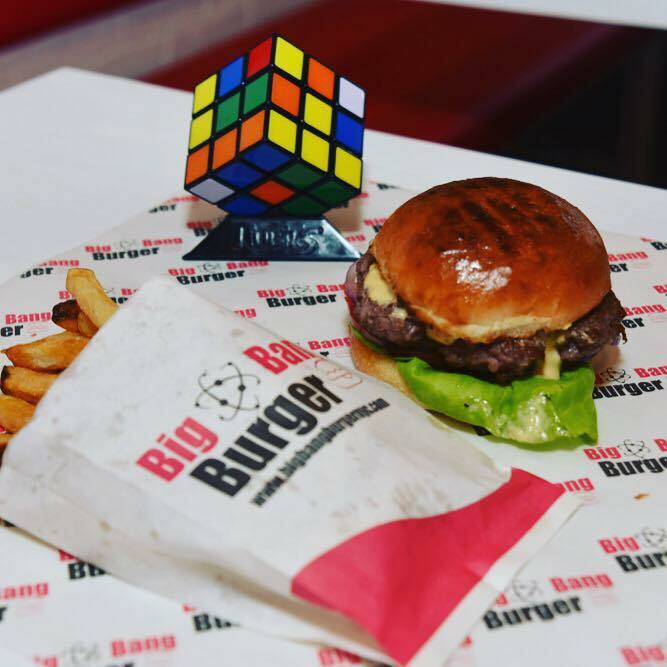 Big Bang Burger is certified by the OK.